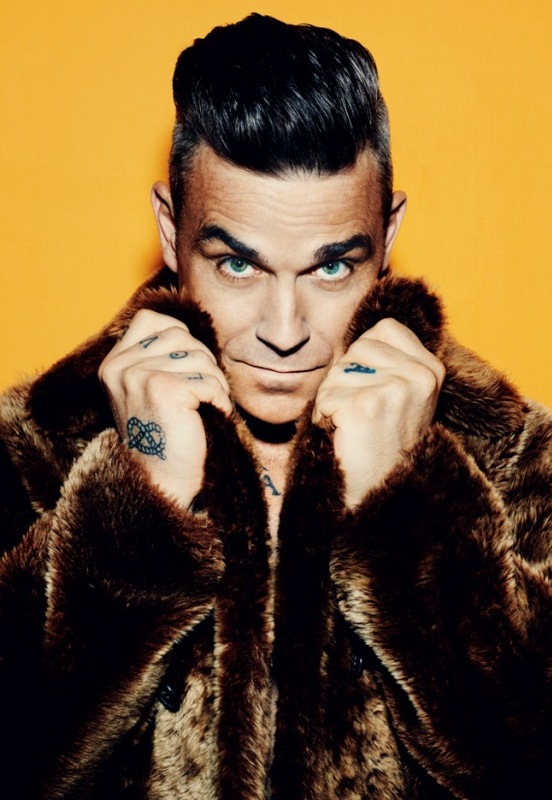 Popgigant Robbie Williams ist zurück mit der dritten Single seines sehr erfolgreichen Albums "The Heavy Entertainment Show". "Mixed Signals" ist ein sehr kraft- aber auch gefühlvoller Song, in dem der Sänger einmal mehr mit einer herausragenden stimmlichen Performance glänzt. Unterstützt wird der Song von einem exzellent produzierten Video - Robbie wartet vergeblich auf seine Partnerin, die währenddessen lieber mit ihren Freundinnen um die Häuser zieht und sich in eine wilde Partynacht stürzt. Sind Robbies Ängste vor einer Affäre seiner Freundin gerechtfertigt oder wird sie zu ihm zurückkehren? In drei alternativen Enden wird diese Frage unterschiedlich beantwortet. Seht selbst. Even so, no one else has played their part quite as he has. Looking back at all his triumphs along the way, it’s sometimes hard to remember how improbable many of them were. Just a few of the brief highlights: In 1990, when he joined Take That as a sixteen-year-old, it was an era when British boy bands were considered passé, and he was their youngest and least polished member. When he fell out with, and of, the band in 1995 at the height of their success, he was considered an entertainingly wayward loose cannon but few had serious expectations that he would come to much. When the following year he went round to the leaky flat of an unsuccessful and unfeted songwriter, Guy Chambers, and they tried to write songs that might ignite his fledging solo career, no one except perhaps them imagined that the song they wrote, “Angels”, would be the first in a career-defining generational soundtrack: “Let Me Entertain You”, “Millennium”, “No Regrets”, “Rock DJ”, “Supreme”, “Eternity”, “Feel” and many, many others. Or that he would also emerge as the most acclaimed and charismatic live performer of his times, a position that was cemented and celebrated by his record-breaking 2003 Knebworth performances over three nights in front of 375,000 people. And, even despite his other successes, there was widespread scepticism when in 2001 he announced plans to release an album of swing songs, Swing When You’re Winning, based around music he had heard and loved in his childhood – it, and the accompanying filmed swing concert at London’s Royal Albert Hall, became two of his biggest successes, and opened up a new, part-time parallel career. Likewise when, in 2010, he decided to rejoin Take That for an album and a reunion tour, few could imagine that the resultant album, Progress, would become the fastest selling album in Britain of the century, or that the subsequent tour – in which he performed alone and alongside his reconciled bandmates – would be the biggest-selling British tour ever. So it continues. As a solo artist, he has sold over 70 million albums, and has six of the top 100 best-selling albums in British history. He has had 14 number one singles, most recently 2012’s “Candy”. He is one of the most in-demand live attractions in music, and continues to play stadiums around the world. He has won 17 Brit awards, nearly double the total of any other artist.